The 226 metrical long viaduct of the Karakó Stream was built with a height of 64 meters, resisting upon into two colossal stone pillars, with three panels, with “introductory” viaducts with walls on their both sides. This structure is one of the masterpieces of the 19th century Hungarian railway bridge-building. The church of Rákos known as dedicated to the name of Virgin Mary is representative for the churches of the region both in structure and in details as well. The semi-circular door-frame ornamented by two cylindrical shapes can be the evidence of the Roman-style church existing definitely in the XIV century. What has triggered the interest towards this building, already from the end of the last century, is its tower, more precisely the figural ornaments of it. According to our present knowledge, the tower is contemporaneous with the apse, that is, it must have been built at the end of the 15 century. The Peatland of the Szökő Brooklet (or the Peatland from Rákos) is one of the most beautiful and best preserved marshes in Szeklerland. 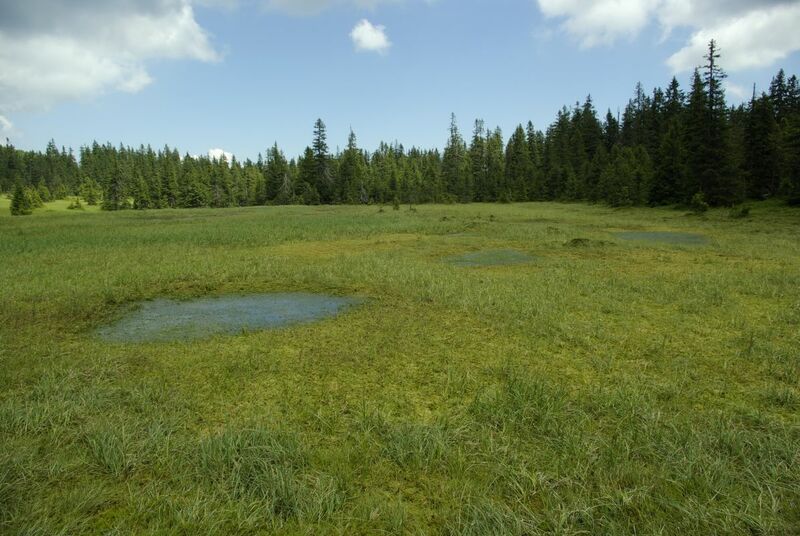 It lies in the north-eastern slope of the peak of Hargita of Madaras (1800 m), at the headwater of Szökő Stream, as a marshy clearing surrounded by spruces. It contains about 25-30 hectares, in a height of 1600-1700 meters. 1. Karakó Bridge The 226 metrical long viaduct of the Karakó Stream was built with a height of 64 meters, resisting upon into two colossal stone pillars, with three panels, with “introductory” viaducts with walls on their both sides. This structure is one of the masterpieces of the 19th century Hungarian railway bridge-building. 2. The church of Rákos The church of Rákos known as dedicated to the name of Virgin Mary is representative for the churches of the region both in structure and in details as well. The semi-circular door-frame ornamented by two cylindrical shapes can be the evidence of the Roman-style church existing definitely in the XIV century. What has triggered the interest towards this building, already from the end of the last century, is its tower, more precisely the figural ornaments of it. According to our present knowledge, the tower is contemporaneous with the apse, that is, it must have been built at the end of the 15 century. 3. The Peatland of the Szökő Brooklet The Peatland of the Szökő Brooklet (or the Peatland from Rákos) is one of the most beautiful and best preserved marshes in Szeklerland. It lies in the north-eastern slope of the peak of Hargita of Madaras (1800 m), at the headwater of Szökő Stream, as a marshy clearing surrounded by spruces. It contains about 25-30 hectares, in a height of 1600-1700 meters.